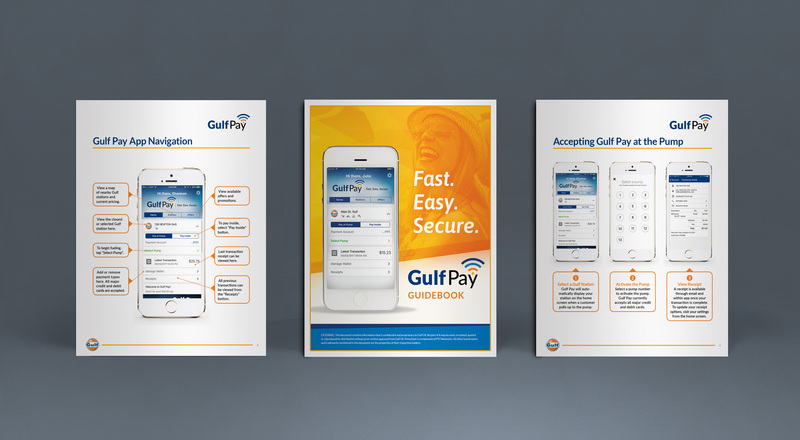 I worked closely with the Gulf marketing team to develop the logo mark and initial branding for the program Gulf mobile pay program. 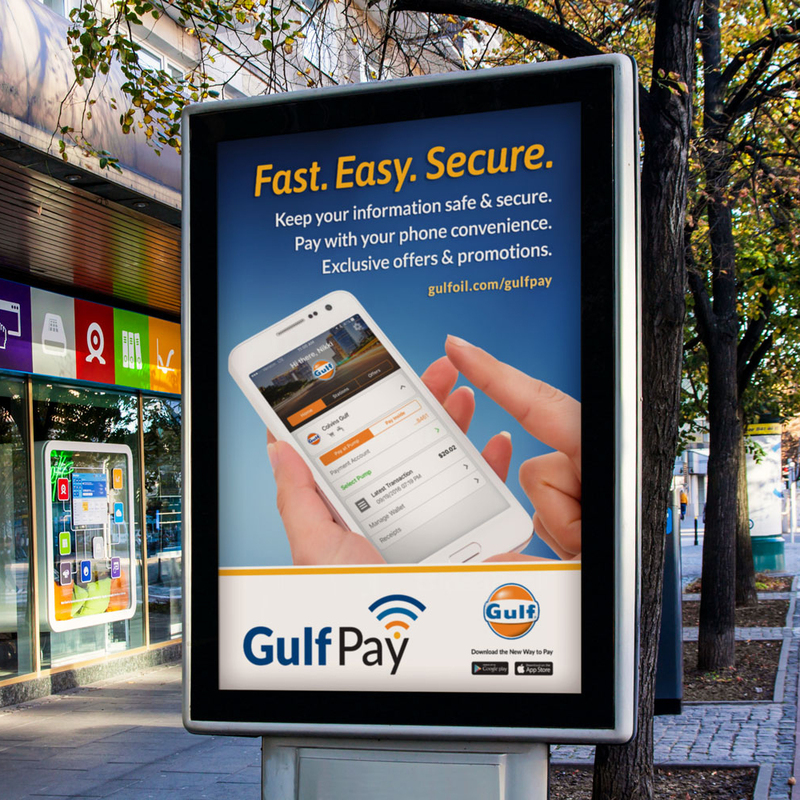 They wanted the look to correlate to the iconic Gulf brand, but with a modern connection to mobile pay. 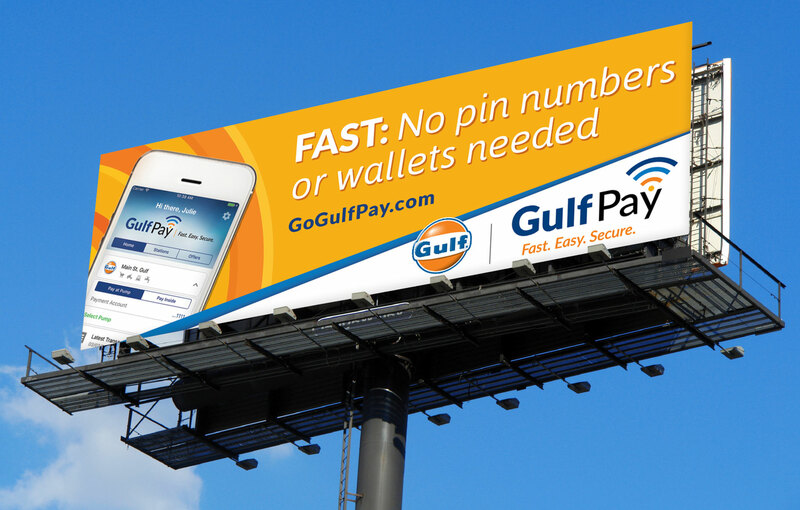 In addition to the logo, I also worked on the initial website, launch kit materials for the stations, deployment guide, billboards, email templates, copy editing and direction and more.